Welcome to GasBooking.co.in. We are happy to guide you to book your gas online. Be it an HP Gas, Indane Gas or Bharat Gas, we will help you make it easy for online gas booking at a single place. There are guides on how to book gas cylinder online and we have also provided respective gas agencies booking numbers state wise so that you can contact them without any hassles! So let’s have a look at the different ways of online gas booking! Many of you might be new to gas booking online process. So to make your task easier we will be guiding you in a perfect way! In today’s fast-paced world, everything is on the internet and so the gas booking too. You might be customer of HP Gas, Bharat Gas, Indane Gas or any other gas supplying company. There are many ways through which you can book gas online. Of course, there are official websites and apps of the respective companies but people often get confused when it comes to booking their gas bottles safely. To ensure that you don’t fall in any kind of scam or leak your personal information online, you must follow our various tutorials written by online experts. To start with we will let you know to by how many ways you can book your gas safely! Here are the three ways to do it! 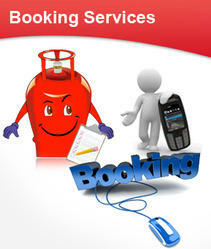 The best thing is to do is visit the official website of the respective online gas booking portals. Apart from how to book gas online, we will also be providing the toll-free numbers of HP Gas, Bharat Gas and Indane Gas so that you can book your gas via phone when you are unable to book gas online. So now let’s see how to do an online gas booking for all gas suppliers you book from. Let’s first start with Indane Gas, then will move on to HP Gas and at last, the Bharat Gas. Indane Gas is owned by Indane Oil Corporation Limited which is serving Indians since 1959. Other than providing gas, it also holds a major part in the petroleum market and has 32, 962 employees under its belt. It is owned by the government and it is the No. 1 petroleum trading company in Asia-Pacific region. Not talking about the past anymore, let’s come to the main subject. We have written a separate post for you on Indane Gas Online Booking here so that you complete the overall process of online gas booking without any hassles. Hindustan Petroleum has 25% of the market share so you can just imagine the number of customers it has at present. It is quite obvious that when HP gas has such a huge number of customers, online gas booking is a must for them. It makes it easy for people like you to get everything at your doorsteps with just completing the total process of HP Gas booking online. The government holds 51% of the share in the company and hence it is owned by the Indian government. The official website of HP gas has all the information of how to book a gas right from the scratch, but to make it even easier for you; we have written a separate post. Here’s the detailed post about HP Gas booking online. Do check it out to book the gas on your fingertips! Bharat Petroleum is one the major stakeholder in the market. It is also owned by the Government and its major refineries are at Mumbai and Kochi. 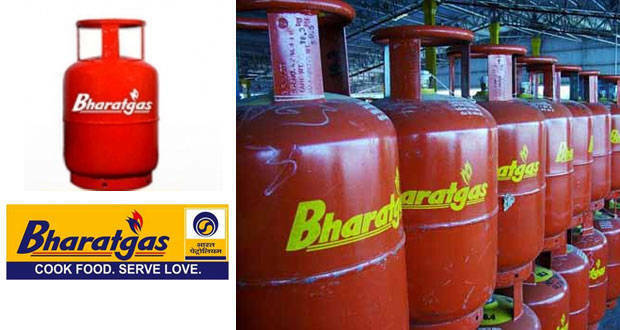 Bharat Gas is one of the most trusted gas suppliers over the past years and there are many customers who highly depend on Bharat Gas for a first-class service. The official site and the app by the Bharat Gas are two best ways for online gas booking. If you too want to book your Bharat Gas without any hassles, you must go through the detailed post written on Bharat Gas Online Booking right here! As you just saw that I provided all the information about HP Gas number state wise, in a similar way, I am going to list Bharat Gas booking number of all branches across India. Although it is state wise, but I think those numbers are more than enough for Bharat Gas new connection purposes 🙂 So do check out the detailed post in which I have listed all Bharat Gas booking numbers. Indane Gas is second biggest gas agency in India. And I can know that there are many people who are looking forward to get the numbers of Indane Gas consumer portals of their respective regions. Isn’t it? So I have come up with a detailed post in which I have mentioned all the Indane gas booking number. From there, you can easily get the toll free numbers of your respective Indane Gas agency.